There are actually more Alex fangirls/boys in this storyline than there are for Integra. What gives? 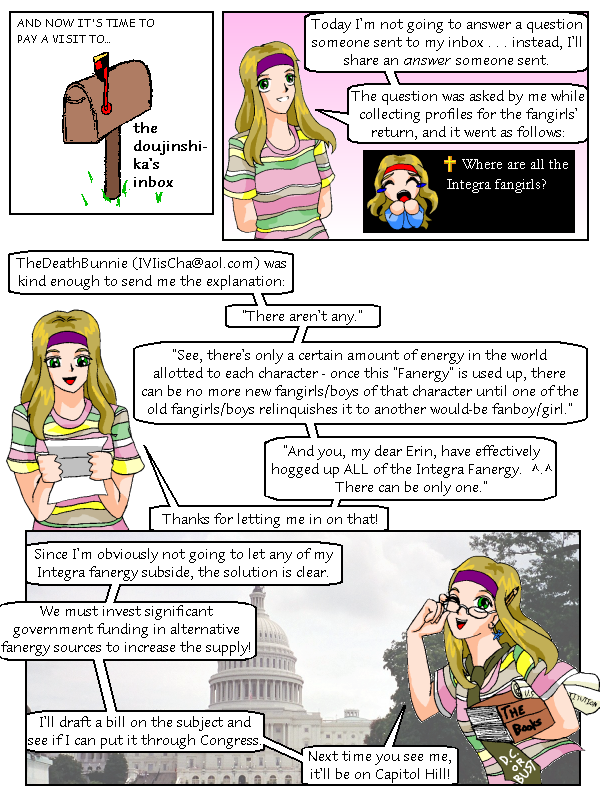 Fangirl: Where are all the Integra fangirls? Thanks for letting me in on that! Since I’m obviously not going to let any of my Integra finery subside, the solution is clear. We must invest significant funding in alternative fanergy sources to increase the supply! I’ll draft a bill on the subject and see if I can put it through Congress. Next time you see me, I’ll be on Capitol Hill!